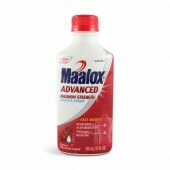 (CNS): Novartis Consumer Health manufactures of over the counter medicines have announced a voluntary recall of Maalox Advanced Maximum Strength Cherry Cream Flavored packed 3/ 12oz, in consultation with the U.S Food and Drug Administration. As a result local supermarket Foster's Food Fair has proactively pulled all the ant-acid medicines from it shelves to ensure the safety and well being of customers, the supermarket, said Friday. Novartis Consumer Health has made this recall as a result of an instance of the addition of a small amount of non-USP water (municipal drinking water) during manufacturing. Consumers who have purchased this product should stop using it immediately. If anyone experience any adverse reactions they are advised to consult their healthcare Physician. Until Foster’s Food Fair IGA has a further correspondence from the manufacture on this affected product, moving forward, it will not be available. “We are sorry for any inconvenience this may cause, however the safety of our customers is our top priority,” a spokesperson for the supermarket said. “We encourage all customers who have purchased this product to return the affected product to their Foster’s Food Fair IGA of purchase for a full refund.